Tranzair was not an airline, rather it is the name under which a number of small regionals operated in association with Ansett New Zealand on a franchise basis. These airlines' flights operated with the Ansett ZQ flight designator, used Ansett New Zealand's terminal facilities as well as Ansett’s reservations system, marketing strategy, ticketing, accounting as well as ground handling facilities and staff. Some management and administration support was also provided. Astral Air Services and Rex Aviation operated all their passenger services under the Tranzair banner. Bell Air and Northern Commuter Airlines both had their own life before operating under the Tranzair banner. In addition to these airlines Air Wanganui, Aspiring Air, Pacifica Air and Waterwings Airways all flew under the Ansett New Zealand umbrella but retained their names. though in later years Bell Air operated under the Tranzair banner. Following Eagle Air's take over of Air New Zealand's Friendship service from Wanganui to Auckland, Air Wanganui operated the Wanganui-Wellington route 3 days a week under the Tranzair from the 9th of April 1990. The service was short-lived. Aspiring Air was not formally part of Tranzair but operated flights connecting Wanaka to Ansett New Zealand's services at Queenstown from 1987 to early 1988. Astral Air Services operated scheduled services between Napier and Auckland and Napier and Wellington. 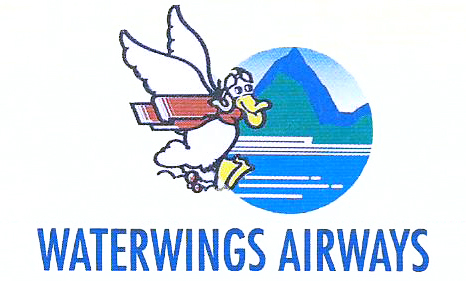 Services began on the 5th of May 1991 but the airline closed 53 days later. On the 5th of March 1990 Bell Air began a new relationship with Ansett New Zealand whereby Ansett provided terminal services in Auckland, baggage handling, ZQ (Ansett) flight numbers, "through fares" to Ansett's destinations beyond Auckland, access to their reservations system and marketing support but continuing to operate under the Bell Air name. By January 1992, however, Bell Air's Beech 99 was repainted into Tranzair titles but with smaller “Operated by Bell Air” titles on the side of the aircraft. The Beech 99 flew its last Whakatane-Auckland-Whakatane service on the 6th of November 1995. This was the last Tranzair flight and scheduled service operated by Bell Air. From the 16th of April 1990 Northern Commuter Airlines' Nomad was replaced by Piper Chieftain ZK-NCA which was painted in Ansett's Tranzair colour scheme. On the 7th of November 1995 Whakatane's Tranzair service, which had been operated by Bell Air, was replaced was taken over by Rex Aviation using Bandeirante aircraft and Northern Commuter Airlines’ Chieftain. This relationship continued until Tranzair was rebranded as Ansett New Zealand Regional. On the 6th of January 1988 Pacifica started a new route from Christchurch to Alexandra and Wanaka using a Piper Chieftain. Marketed as the Edgewater Express the service was designed to fly guests to Wanaka’s Edgewater Resort hotel as well as other holidaymakers and visitors and the airline connected with Ansett New Zealand flights at Christchurch. Pacifica Air's services ended in February 1989. Rex Aviation began services between Nelson and Wellington under the Tranzair banner on the 7th of July 1989. The following year a new route between Wellington and Blenheim was operated from the 7th of October 1990 with Palmerston North added to Rex Aviation’s Tranzair network on the 4th of November 1990. The initial services to Palmerston North were operated by a Piper Chieftain but apart from these early services Rex Aviation Embraer Bandeirantes. On the 7th of November 1995 Rex Aviation deployed a Bandeirante to Auckland and this aircraft, along with Northern Commuter Airlines’ Piper Chieftain, was used to operate Tranzair’s service from Auckland to both Whakatane and Whangarei. On the 29th of February 1996 the Tranzair branding was changed to Ansett New Zealand Regional.